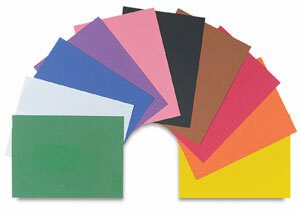 This economical, all-purpose construction paper is easy on the school budget. Great for cutting and folding projects in the classroom because it's thicker and more rigid than other lightweight construction paper. It's available in 2 sizes.